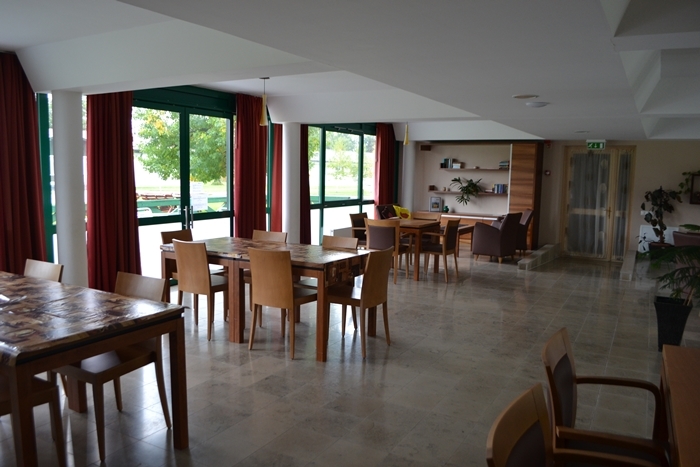 Two separate accessible guesthouses directly on the lake shore offer a pleasant vacation in Balatonmáriafürdő. Though the houses are located in the city center they have a private beach, too. 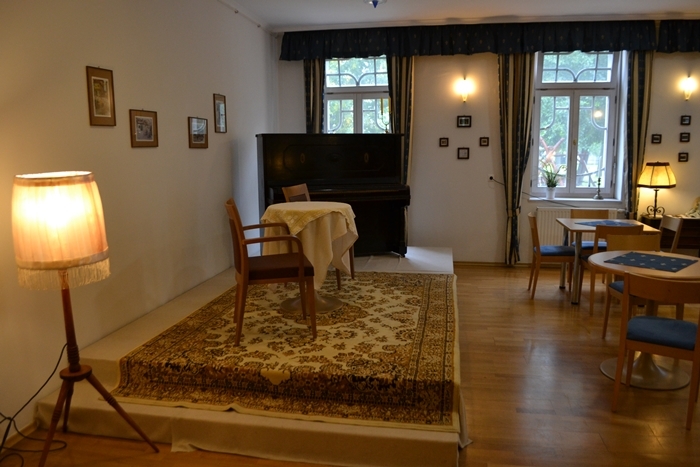 Each of the 12 accessible rooms has its own water block. 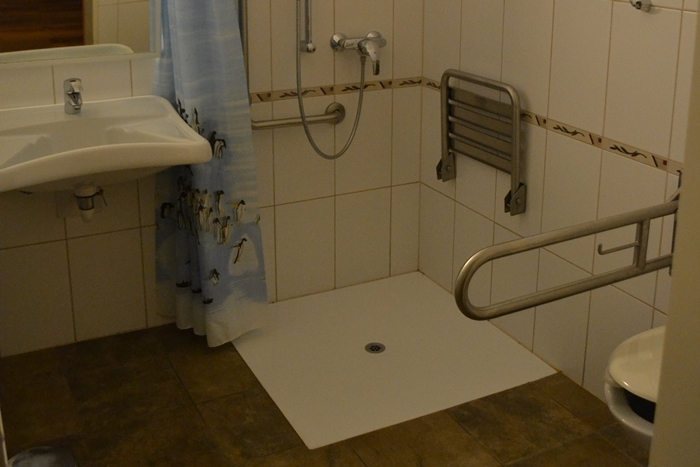 In addition a common shower/toilet for wheelchair users as well is available in each building. Public spaces, kitchenettes, playroom, gym, library, internet corner make your holiday more pleasant. 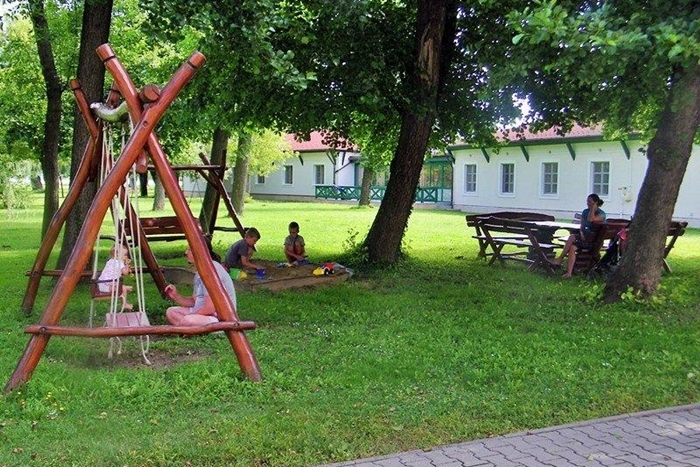 Outdoor activities like barbecue, fireplace, sandpit and swing for the children offer colourful relaxation in the park. 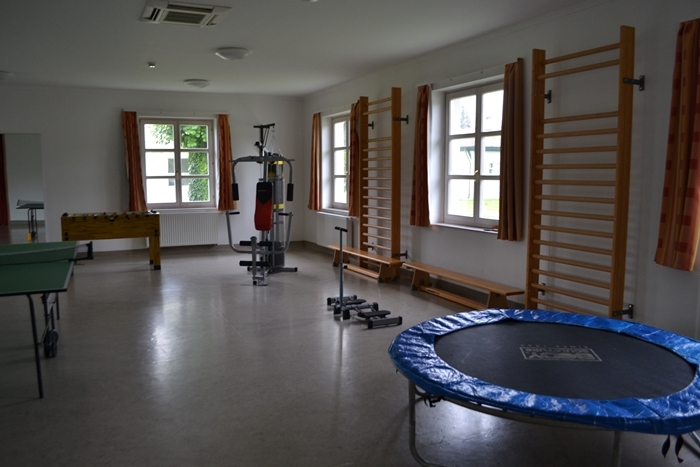 Sport lovers can use the well-equipped gym or play mini golf and table football. 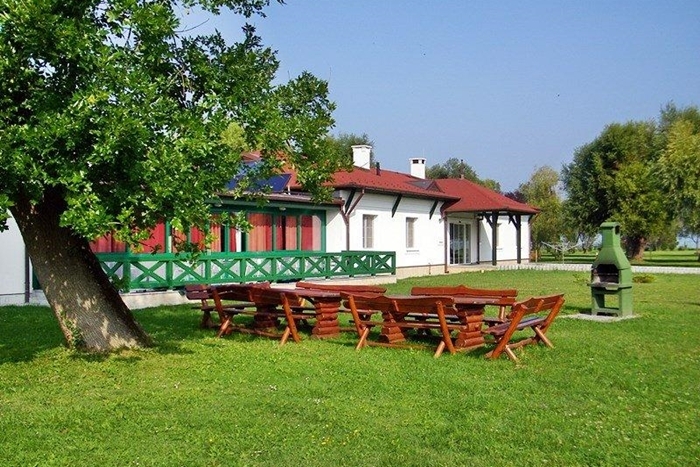 If you’d like to make excursions you can visit to the nearby accessible buffalo reserve in Balaton Uplands National Park, or admire the scenic view of Lake Balaton from Tihany peninsula or look around in the beautiful baroque Festetics Castle in Keszthely.